with Extra, from Blue Sky Fibers! Saturday and Sunday mornings are the perfect time to knit-a-long. We are still working on our Telja sweaters. 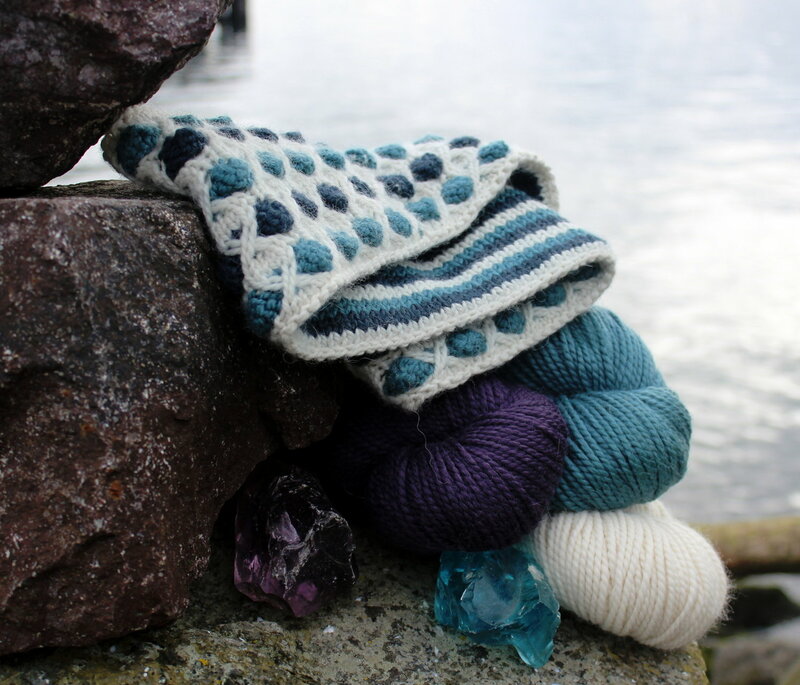 However, if you want to KAL, but would prefer a smaller project, Sea Glass & Stone with the luscious ‘Extra’ from Blue Sky Fibers is the perfect combination. Sea Glass & Stone pattern on Ravelry.